I had a pleasant 12 mile cycle ride to Elgin. Nothing much else to do and it was a nice day. I needed some exercise. At Elgin I had lunch in a small cafe. My tea was served in one of those small metal teapots which are found in cafes all over the UK. WHY? They are almost impossible to pour without spilling! Am I the only one to ask this question? Is it price or do cafe owners enjoy watching customers trying to pour tea without spoiling the tablecloth? Any answers? 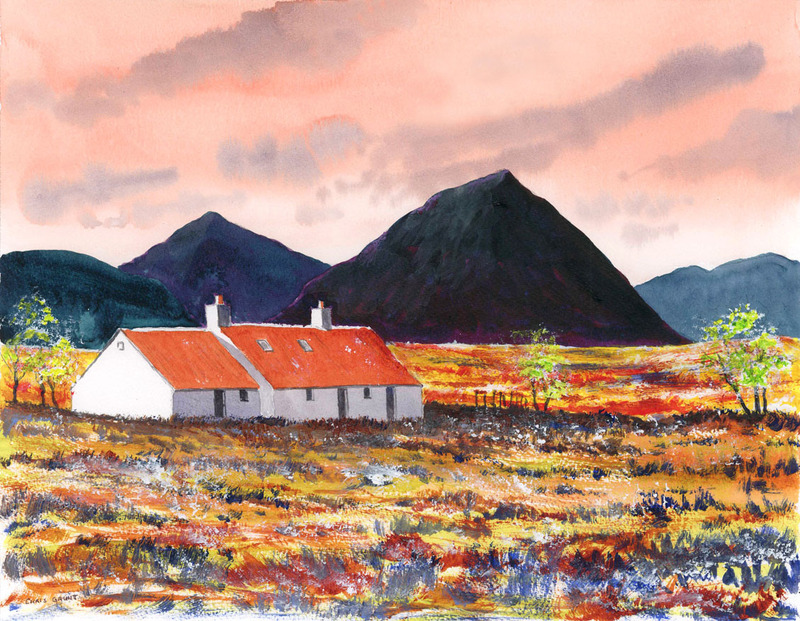 Here is my latest painting, Buachaille Etive Mor is the mountain in the background.